Soft white cloud-like blooms cover this muhly grass from late summer on through winter. 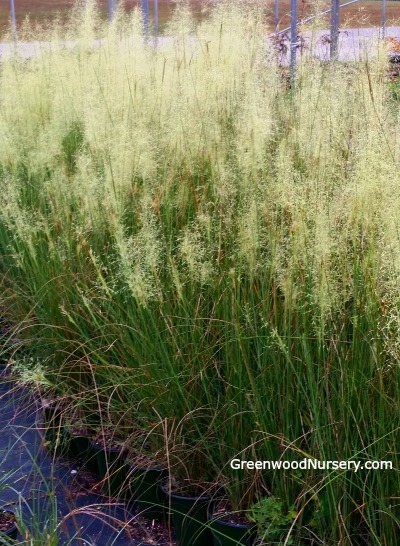 The White Cloud Muhly is an excellent choice for covering large open areas. Adds interest and softness. Fast growing up to 4 feet tall with spread up to 3.5 feet wide. Divide clumps every 3 years. Orders shipping ot CA or AZ addresses will be bare rooted before being prepped for shipping.